WMUK and the WFMT Radio Network wish to share with you the very sad news that long-time syndicated radio host Bob Parlocha passed away unexpectedly Sunday afternoon. Parlocha died of a heart attack and had been rehabilitating from an illness over the past year. Archived hours of Bob Parlocha's programming will air through June 30. On July 1, late night jazz on WMUK will come from the PubJazz studios. 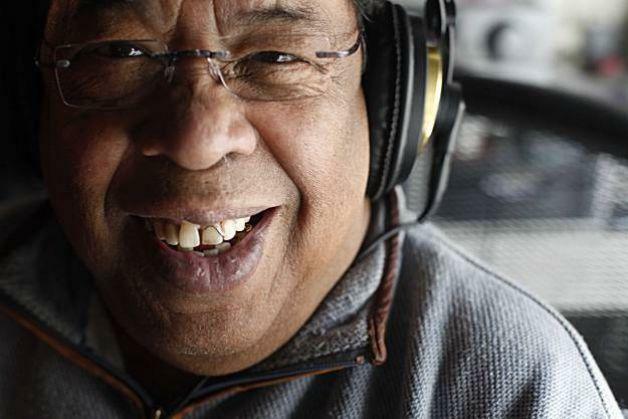 Parlocha, who was based in the Bay Area and was a full-time employee of WWCI, was the first and only host of the WFMT Jazz Network since its inception in 1995. Late night WMUK jazz fans may remember that he was on our air as part of the KJAZ radio network before that. In addition to hosting the Jazz Network, which was broadcast on scores of stations throughout the United States, Parlocha was a tenor and soprano saxophone player, host of the Dinner Jazz Show on KJAZ, and later the station’s music director. He was also a passionate gourmet cook. Listeners leave messages or remembrances about Bob Parlocha here. Those of us here at WMUK join his colleagues at WFMT and WWCI in sending our condolences to Bob’s wife, Pam, and their children.